Alvarez-Glasman & Colvin, a prominent California-based public agency law firm, wanted a flexible graphics/marketing system that would raise their profile and grow their client list. To get the job done, Jake’s design and copy editing teams crafted a modular system used to generate the firm’s resume, RFP proposals, a general marketing brochure, and more. 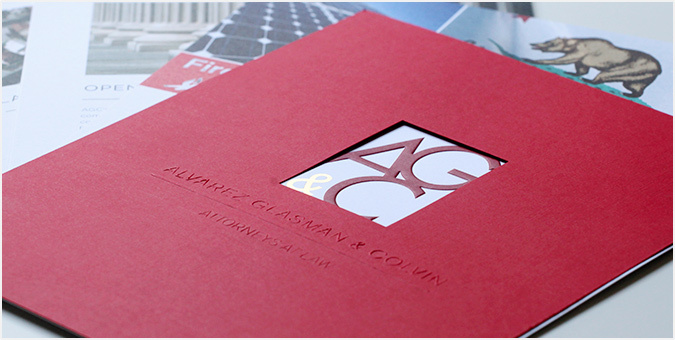 With custom designed pages for 15 practice groups, bio sheets for all attorneys, custom tabs, and an in-house binding system, AGC is designing tailor-made collateral for all their marketing needs.